Android is easily one of the most versatile apps of them all but it lacked a solid file manager for so many years. Google has launched Files Go, an app that should finally put all third-party file managers to rest. The problem with other file managers is that they are never comprehensive. Even when you are willing to go for a paid version, it may not provide the support expected of it. Besides, the most popular choices like the ES File Explorer is ad-supported and users may never know if they are clicking on a function or an ad which will redirect them back to the Google Play Store to download it. The developers at Google has officially put an end to this hassle that users faced so long. The new File Go app is simplified, has a clean user interface and allows you to free up space on your phone keeping the device zippy as it was in the first few months of purchase. 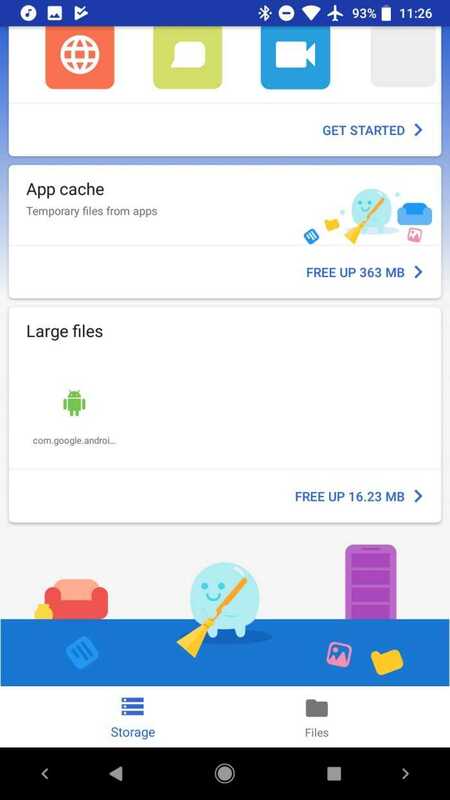 You can choose to find files, remove cache, upload important files to the cloud and even share them with other smartphones when not connected to the internet. Files Go is part of the Android Oreo Go operating system launched by the company in a press conference held in India. While it may look like it was geared to low-end phones, the flagship smartphone owners can receive lots of benefits because they no longer have to struggle with device that doesn’t support SD card. The biggest and the most impressive aspect of the new file manager is that it is ad-free. Google has finally got rid of the annoying ads when you are browsing through your files. It only provides what you need to see in the interface. 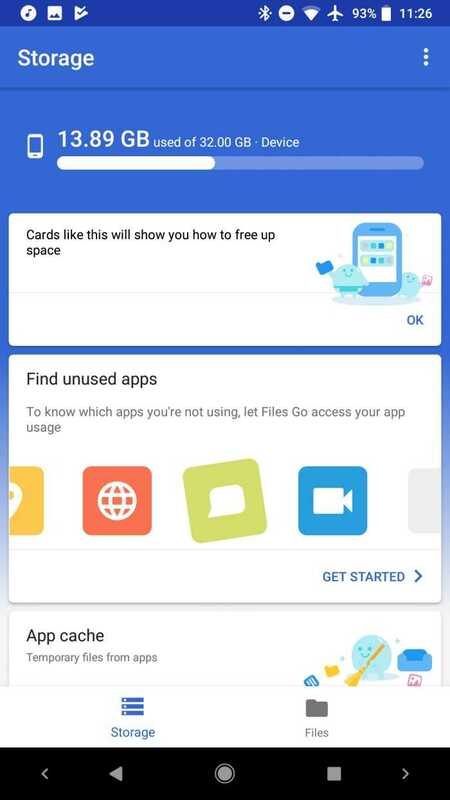 The app will also make suggestions on removing cache, deleting large files that are not used frequently and to move some files to a SD card whenever possible. You no longer have to rely on the internet for everything as the Files Go app works offline. It allows you to easily share files offline to another phone and can also be used to upload files to cloud services like Google Drive, Dropbox, OneDrive among other popular services. Previous Previous post: Is Google Project Fi pushing Nexus 5X users to ditch the phone?